When complete drainage is necessary, these are the tanks of choice. They are designed primarily for use on fertilizer and chemical nurse trailers. All Norwesco's drainable leg tanks require full length bottom support as well as support bands. 710 gallon poly drainable leg tank with a 2" poly fitting and a 16" lid. 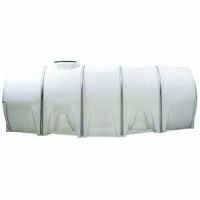 710 gallon heavy duty poly drainable leg tank with a 2" poly fitting and a 16" lid. 1,010 gallon poly drainable leg tank with a 2" poly fitting and a 16" lid. 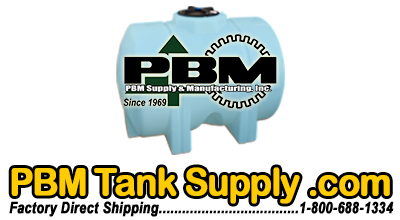 1,010 gallon poly heavy duty drainable leg tank with a 2" poly fitting and a 16" lid. 1,310 gallon poly heavy duty drainable leg tank with a 16" lid, without fitting. 1310 gallon poly drainable leg tank with a 16" lid, without fitting. 1,315 gallon drainable heavy duty poly elliptical leg tank with a 16" lid, without fitting. 1,315 gallon poly elliptical leg tank with a 16" lid, without fitting. 1,610 gallon drainable heavy duty poly elliptical leg tank with a 16" lid, without fitting. 1,610 gallon elliptical drainable leg tank with a 16" lid, without fitting.